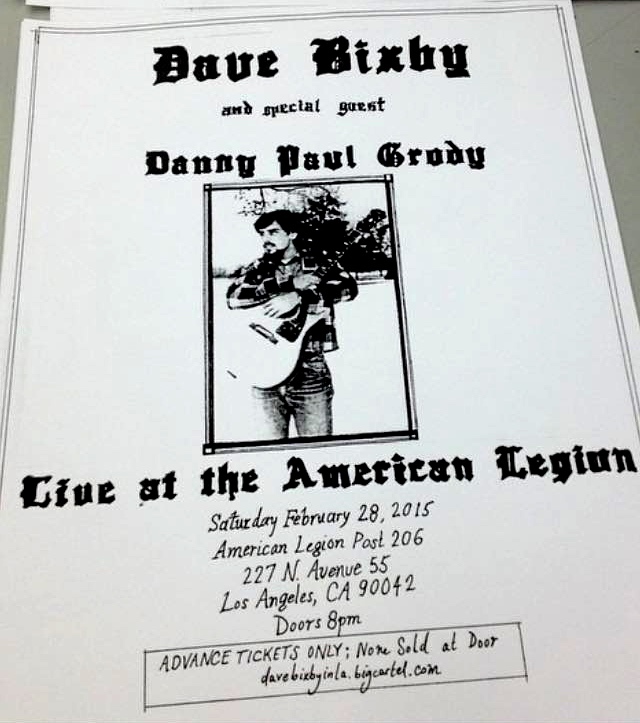 DAVE BIXBY & DANNY PAUL GRODY – LA – TOMORROW 2.28! The American Legion has a policy where they must have a complete invite list for an event. We are not selling walk-up tickets.